Eastern Long Island Dentist, Riverhead, East End NY | Joseph F. Sciotto D.M.D. That’s what we’re all about. As your trusted Eastern Long Island dentists, our goal is to make your visits as productive and relaxing as possible, all while connecting with you and your family on a personal level and bringing you the best in dentistry. Our entire office is designed around your comfort and ensuring you enjoy your time with us. All of our patients will benefit from our state-of-the-art technology. It is important to us to have the most modernly advanced tools possible so that we can provide you with efficient, effective care. With digital X-Rays, a CEREC® unit for in-house same day restorations, and laser dentistry to avoid drills, there’s no need for temporary replacements or follow-up visits. You will have a healthy, polished smile as soon as you leave our office. That’s right, we can fix your teeth in one day! 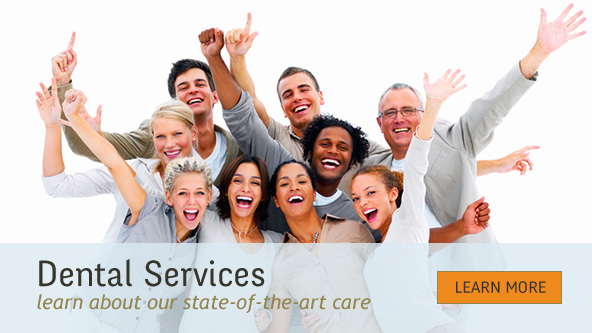 Our full-service Eastern Long Island office can help with: veneers, dental implants, crowns, bridges and more! And, smile even brighter with our top-notch Zoom teeth whitening and Invisalign® invisible braces for your best smile ever! If you’re a town, school or hospital employee, we’ll do all that we can to make your insurance work and care affordable to you. We want to take care of the people that take care of our community.